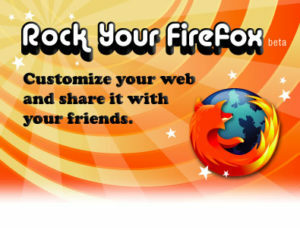 You’ve very likely already read about Rock Your Firefox, the cool new Facebook app that enhances the Firefox Add-ons experience. What you haven’t read about until now is the previously secret Sesame Street connection. So that’s the story behind the story. And if you’re into this design, I should mention that Rock Your Firefox desktop wallpaper is available in several sizes here.